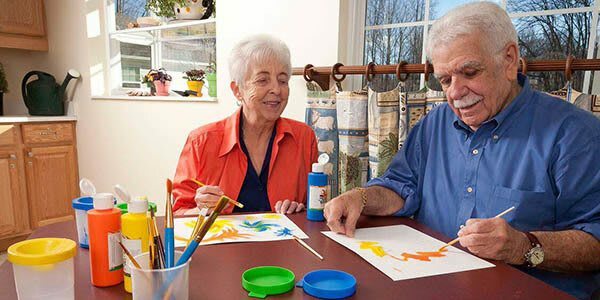 The senior housing options of Great Falls Assisted Living are specially designed living spaces that provide a familiar, "at home" setting, ensuring the comfort and safety of your loved ones. There are four distinct neighborhoods within our community: Washington Way, Rehoboth Lane, Elkins Station, and Colvin Run. Our attractive apartments are equipped with an emergency call button, private bath, bedroom, and spacious sitting area. Cherished personal items and furnishings help each resident create a special place to call home. 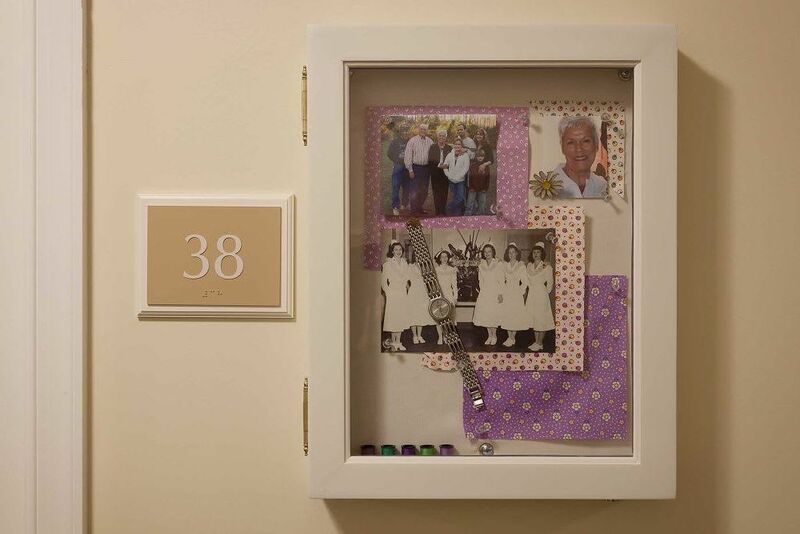 A personalized memory box is located outside each room to help the resident recognize and identify the room as his or her own. Families are encouraged to help them fill the boxes with photographs and mementos that have special meaning. Life happens in the Town Center. Featuring an apothecary, community center, and beauty/barber shop, residents can find almost everything they need without leaving the comfort and security of their home. 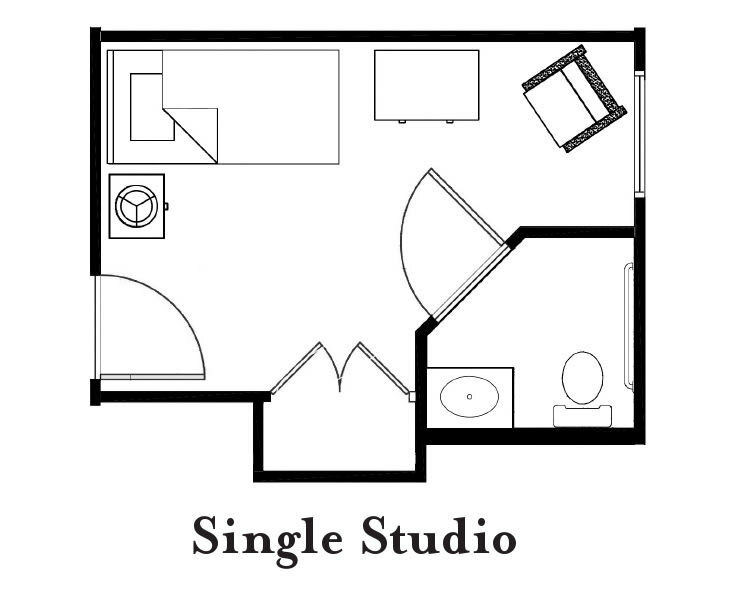 Our four neighborhoods include 15 private studios. Each room leads to the shared common areas that encourage socialization. The beautiful living and dining areas are places where residents can move about freely, share meals and take part in activities with friends. Residents also have access to a lovely, secure courtyard where they can enjoy the beauty of the outdoors, take a stroll on the garden walking path, and relax in the sun. Caring for a loved one that has been diagnosed with Alzheimer’s or other memory loss can be overwhelming. We understand the challenges and the importance of being able to get away every now and the. When short-term care is needed, our affordable respite program is the answer. To learn more please contact us today.